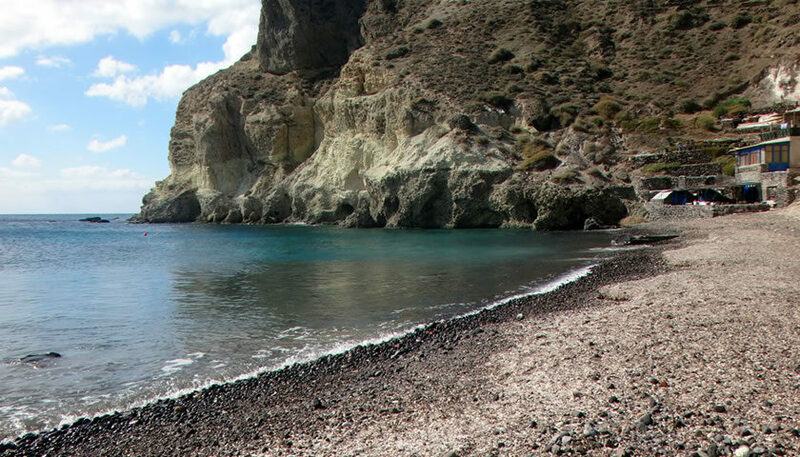 Kambia beach is located at the southwestern end of Santorini, at Akrotiri area, between White Beach and Red Beach. 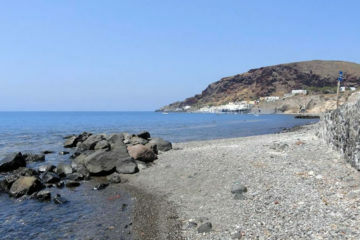 The beach has black pebbles and it is surrounded by high vertical white rocks. 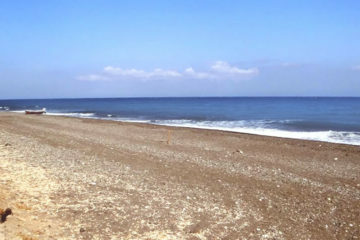 It is a quiet beach with view to the Red Beach. You can find a couple of taverns and sunbeds and umbrellas for rent. 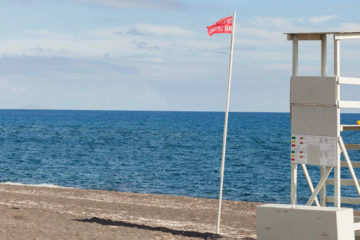 You can access the beach by car, by following the signs on the way to the lighthouse before entering Akrotiri village. A big part of the route, approximately 15 minutes driving, is through a dirt road.